Hi, I'm Seapaw9 I love... art, anime, drawing, OCs RPs, shipping, ps3/4 and minecraft .PS. Don't judge my spelling. I am (or can be) annoying, funny, crazy, weird and awesome, I think. 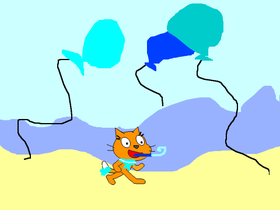 Last time i was on scratch was a year ago and i made a project called "Birthday!" and now its my birthday in 2 weeks! !